Peanut Butter Overnight Oats are a great way to get kids to eat oatmeal and make breakfast easier! Quick, easy, and tasty are must-haves in any recipe in my house, and this recipe is ideal! I need to keep the kids happy and make sure they are getting some good food into their little bodies. Oatmeal is one of my favorite ways to do this and making it overnight infuses it with great flavor with little effort. I even love the nostalgia of tasting a childhood favorite in a new way. If your kids are picky about oatmeal, this may be the best recipe for them! I can almost guarantee that if you put this in front of your kids in the morning you will get huge grins, and the satisfaction of knowing you filled their little bodies with protein, fiber, and yumminess. 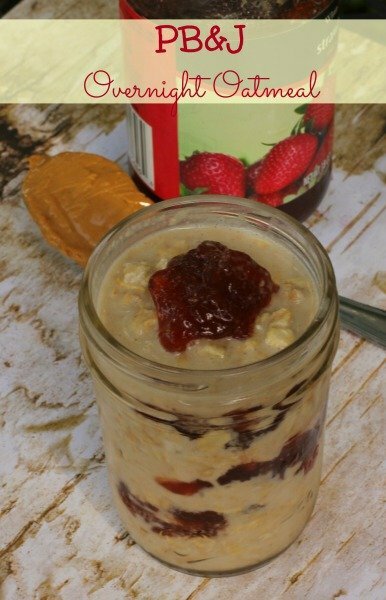 Peanut butter overnight oats are delicious, and we add the spin of a bit of jelly into the mix to make these even better. Combine the oats, almond milk, and PB2 powder in a bowl and mix well. Place bowl in the refrigerator for 1 hour and allow to set. In an 8 oz. 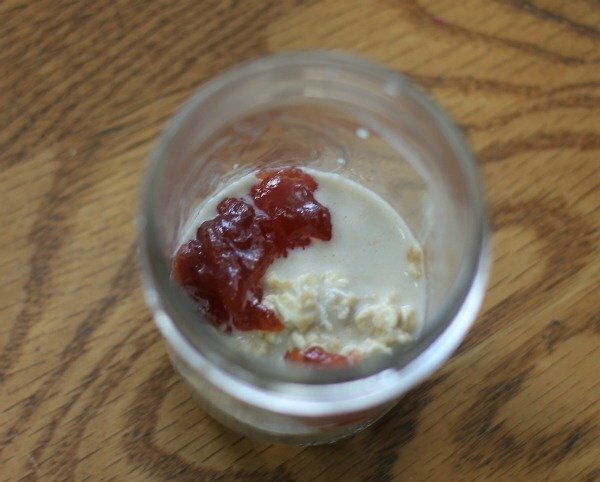 mason jar alternate a heaping spoon of oatmeal and a small spoon of sugar-free jam to the top. Replace lid/ring on jar and place in refrigerator overnight. In the morning stir gently before serving. This is a fun breakfast that everyone will love. 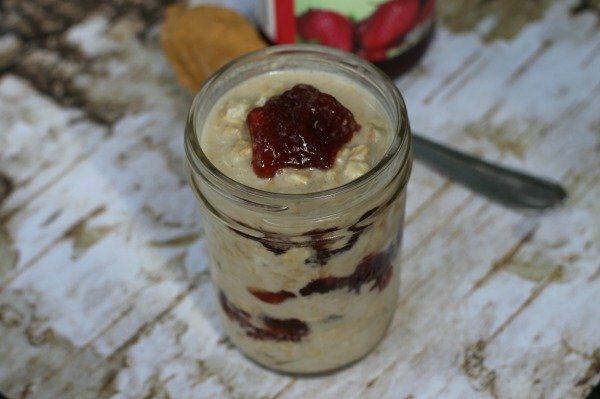 PB&J overnight oatmeal is definitely one of the more kid friendly flavors we have come up with. You can use any flavor of jam you prefer, as well as crunchy or smooth peanut butter. I love that my kids can help me assemble these. It always makes it easier to get them to eat something healthy when they can take part in making it with me. Letting them take turns layering the oatmeal and jam is a great method of teaching them teamwork while helping make my job easier in the kitchen! 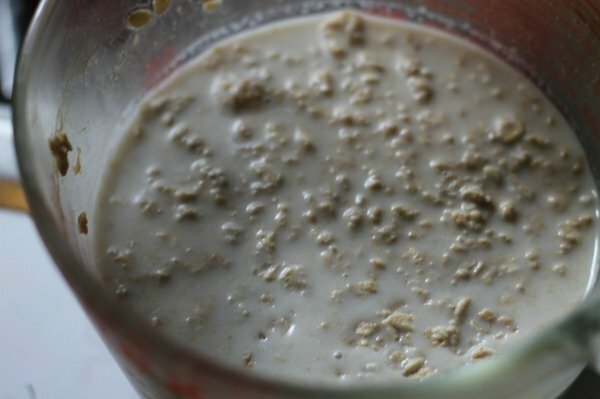 I never knew oatmeal could be so delicious and easy to make! Let us know your favorite oatmeal recipes! I think i’m going to try this for myself but maybe with not quite so much jam as its for me and not the kids, but definitely crunchy peanut butter and not smooth. Can I heat this up in the morning? Overnight oats are typically eaten cold, but you can easily heat up if you prefer.